There is a lot more to golf than clubs, balls, and tees. In order to be prepared for every scenario you may encounter while playing golf or working on your game, there are golf accessories that are essential to being able to play your best golf. In this article, we go in-depth into the various golf accessories that will make you a better golfer, why they are important, and how they help. When you finish reading, you’ll have a solid understanding of the essential golf accessories, and which ones will apply to you. What accessories do I need for golf? 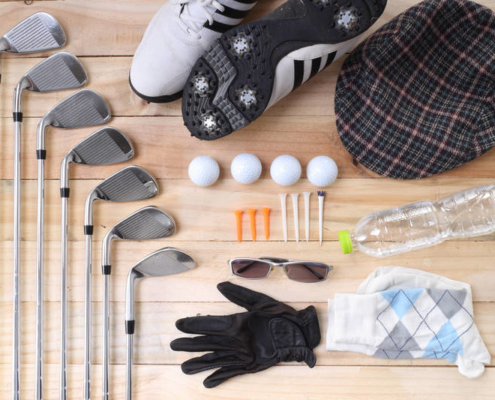 In the following sections, we will provide a more detailed explanation for each of these golf accessories, what to look for, and which one is best for your game. Golf tees come in a variety of styles with various lengths, which can make finding the right kind of tee for your game difficult. However, there is a very simple way to determine which golf tee will work best for your swing. You want a tee that is long enough to tee your golf ball up with the driver to your desired height, and slim enough to move freely through the turf when you need to tee a ball lower. If the tees you need for the driver are extra-long, having a shorter size for fairway woods and par-3s can save your longer tees from being broken. Having a high-quality golf glove can help you maintain your grip with your lead hand (left-hand for right-handed golfers) without adding extra grip pressure. The best golf gloves are typically made with Cabretta leather, which provides a soft feel, flexibility, and a solid hold on the golf club. 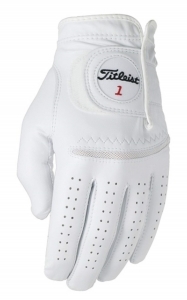 The key to finding the best golf glove for your game is ensuring the grip fits just right. This is especially true if you are changing golf glove manufacturers, since an Extra-Large glove from one company can fit differently than one from a different company. No matter where you play golf, there are going to be days where Mother Nature doesn’t cooperate, and the weather is less-than-ideal. Since most golf bags feature umbrella holders, it’s a good idea to carry one with you if there’s any chance of inclement weather. Golf umbrellas are different compared to standard umbrellas, with the most notable feature being the size. When you shop for a golf umbrella, you want it to be at least 60”, which is big enough to keep you and your golf bag dry or shaded. The best golf umbrellas feature sturdy steel frames, double canopies, and a comfortable handle. Not only are golf umbrellas great for the rain, they can also protect you from the wind and even the sun on those scorching summer days. Keeping your clubs clean after every shot is an important part of playing good golf, and the best way to keep your irons, wedges, and woods clean is with a high-quality golf towel. Golf towels are also great for cleaning your golf ball on the green and drying your grips on humid or wet days. Microfiber golf towels have quickly gained popularity due to their ability to hold moisture and get into the grooves of irons. Other features you want to look for in a great golf towel is an adequate size and ensuring it’s machine washable. There are several benefits to having head covers for your driver and fairway woods, especially modern golf clubs. With their unique and stylish paint jobs and finishes, drivers and fairway woods are susceptible to chipping and damage. Another key feature that makes head covers useful is the muffling of your clubs as you drive the cart or carry your clubs across your shoulders. The best head covers fit snugly around each club, keeping them securely covered from the head to about 6 inches down the shaft. 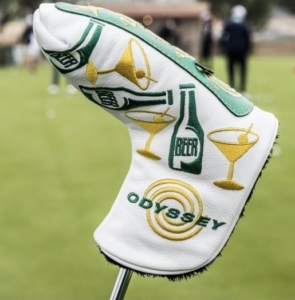 While most golf club manufacturers provide head covers for their drivers and fairway woods, there are several amazing options that depict animals, cartoon characters, and other unique characters. These types of golf club covers are less common, but can be an asset for golfers who do their best to keep their golf clubs in the best condition possible. Since irons tend to clank around in the bag, the best iron covers keep your irons safe from the various nicks and finish damage common with golf irons. The best putter covers not only protect your putter from the same wear and damage common to the other clubs in your bag, they are also useful in keeping your putter above the lip of the bag for easy retrieval. 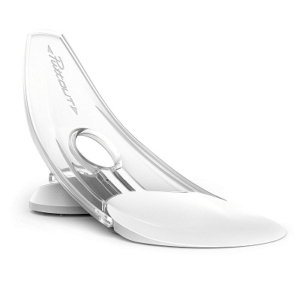 Since you use your putter on just about every hole, having easy access to your putter saves you time and effort. Even if a standard coin, such as a quarter, is a great ball marker, there is a lot of value in owning a golf ball marker specifically tailored for golf. The best golf ball markers are usually connected to a magnetic clip, which can be attached to your cap. This is a great advantage for women golfers who may not always wear pants, shorts or skirts with pockets. There’s also a sentimental element when using a golf ball marker. Whether it’s a ball marker you got during a vacation round, a ball marker you won in a golf tournament or from your favorite golf course, a good ball marker can provide positive vibes that will serve you well on the golf course. No matter what they are called, having a divot repair tool is an essential part of every golf bag. Keeping the greens in good condition is both good for the golf course and even better for your fellow golfers on the course that day. Not sure how to properly use a pitchmark repair tool? The United States Golf Association shows you how in this video. The best golf pitchmark repairers have some weight to them, with study tines that can fold or retract to avoid poking yourself. A scorecard holder is a useful tool to have if you walk and carry your golf bag in tournaments where you also carry a pin sheet, stat sheets, and notes. 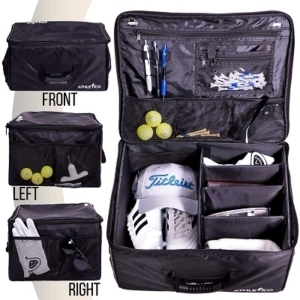 Staying organized on the golf course goes a long way in allowing you to focus on your game. The best golf scorecard holders are made from synthetic leather for waterproof protection, an elastic loop to hold your pencil, and fits comfortably in your front or back pocket. Many of the best scorecard holders also offer stat sheets for keeping track of your fairways hit, greens hit, putts, etc. Sometimes your golf ball ends up on the edge of a lake, in a bush, or through a fence, and having a tool to retrieve your golf ball can save you money in the long run. Golf ball retrievers have been around for years, and the technology has improved dramatically over the years. The best golf ball retrievers feature a compact size with a long-range telescoping reach of over 10 feet. 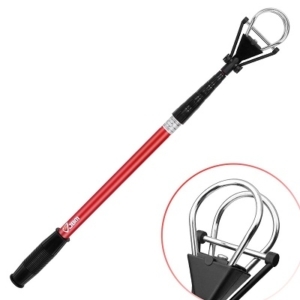 Other key features of a quality golf ball retriever include a lightweight design, reliable trapping mechanism to keep the ball contained and an easy release. When you want to work on your chipping, pitching and especially your putting, it doesn’t make sense you use range balls. 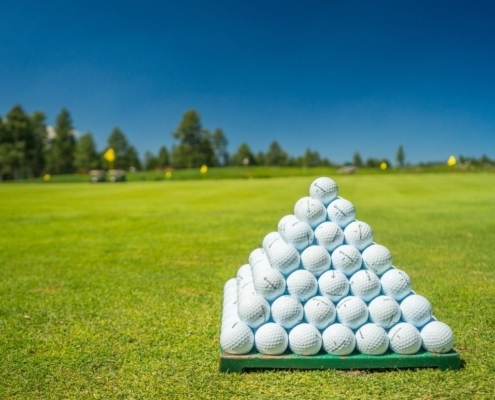 Thankfully, there are several great practice golf balls that can be used on the practice range, in your home, or in your backyard. Practice golf balls come in a variety of types and styles. The most common practice golf balls are balls that are just like the ones you used to play, except they are designated specifically for practice. These are typically known as X-Outs. There are also a wide variety of practice golf balls that react similar to a normal golf ball but with reduced flight and increased safety. These practice balls are ideal for practicing in your backyard, as they limit the chance of damaging your home or your neighbor’s home. What Should Every Golfer Have in Their Golf Bag? Now that we have an idea of the best golf accessories, the question we must now answer is which golf accessories do you need in your bag to play your best golf? This list includes many of the accessories we have listed, along with some you may not have thought of. At least one dozen golf balls (give or take a few depending on your skill level. Enough golf tees for the holes you use a driver on, plus the range (broken tees are great for fairway woods and irons on par-3s). By the way, according to the USGA, using broken tees is perfectly legal. A divot repair tool to keep the greens in good condition. A golf ball marker and coins in case you lose your ball marker. At least one golf glove, with one or two extra in case it’s raining. A golf umbrella can be kept in your trunk if the weather is perfect, making it easy to grab on the turn should it suddenly turn ugly. If you live or play anywhere with ample sunshine, sunscreen is an absolute must and should be applied at least an hour before your round. A scorecard holder to keep your scorecard out of the elements and your notes organized. Golf ball retrievers are a great accessory to have, but not necessary. Also, practice golf balls should be kept in a shag bag and separate from your golf bag. What are the best golf accessories? With so many different products on the market labeled as golf accessories, it can be confusing as to what type of equipment is needed or necessary. The most important thing you can do to have a better understanding of the best golf accessories is to see what has been around for a long time. For example, golf balls, golf tees, divot tools and golf gloves have been around for several generations, and continue to be used today by golfers of all skill levels. Another thing to look out for is what the best golfers in the world use. If it’s something the best players on the PGA and LPGA Tours use when they play golf, chances are, it’ll help you play your best golf too! Having the right gear in your golf bag is essential to enjoying the game and being prepared for anything that may happen when you’re on the golf course. We hope this guide helps you understand the ins and outs of the best golf accessories. The information in this article is designed to give golfers of all skill levels the knowledge they need to find the golf accessories that are going to help them and avoid the gimmicky products that can flood the market. If you love golf, and want to play it to the best of your abilities, then having the best golf accessories will go a long way towards helping you achieve that goal!